The Crabian Heart follows 13-year-old Aleš and his mother Irena, who are on their own after Ales’ father was locked up in prison shortly after arriving in Dover, England after fleeing the Czech Republic. They are staying at The East Cliff Hotel temporarily while they wait for a decision on their asylum application. There they run into Zsofia, who is the owner of the hotel. She tells them that everything is taken care of for the duration of their application process and they receive a small weekly allowance for necessities. Zsofia tries to calm their fears about the father by telling him that they always detain the men of any families who come over. Almost right away Irena doesn’t trust Zsofia, a character whose motivations remain murky for most of the novella. When Aleš tries to disagree because she appeared to be smiling, Irena said her smile was “thinner than a razorblade. And her eyes. It’s all in the eyes. They never lie, no matter how pleasant you pretend to be.” Aleš isn’t excited about his new home – the hotel lobby reeks of mothballs and the room has no VCR – but when he hears the screeching of seagulls, the prospect of living near the sea fills him with excitement. All he wants to do is to take his mind off of the turmoil surrounding his life, so while his mother is running appointments, he convinces her to allow him to visit the beach by himself. While that seems like a small victory, it is a decision that will alter his life forever. It’s at the beach that he meets a frail girl named Enola, who answers Aleš’ questions with strange observations that hint that she is anything but an ordinary girl. They begin walking together and Ales sees a small, purple crab and Enola gives him the ominous warning to stay away from them because they are not what they seem. After his initial discovery of the strange crabs and an ocean that seems to shift colors at will, Aleš begins seeing weird things all over Dover. Despite the fact that he thinks Enola is strange initially, it doesn’t take long for him to fall in love with her. He begins to use any excuse he think of to sneak out of his new apartment and spend the day with her. However, as Aleš begins to learn more about the town he is in and his mysterious new friend Enola, he learns that not everything is as it seems and that the new life he is trying to build is in grave danger. Overall, I really enjoyed The Crabian Heart. There is plenty of horror and fantastical elements throughout, but at its core, The Crabian Heart is a story that almost everyone can relate to. It’s the story of two outsiders dealing with love, heartbreak, and the desire for acceptance. These are topics that touch everyone’s life in one way or another and I think that is what makes this story so engaging. I loved the dynamic that Hofstatter develops between Aleš and Enola. While there is numerous scenes that makes their story compelling, there are two short moments that perfectly capture their relationship. The first is when Aleš and Enola meet for the first time. There is a great line when she asks Aleš if he’s scared of her and he says no, wondering what would prompt her to ask him that question. She says “Because I’m different. People are scared of what they don’t know…or understand.” The other is when Zsofia is telling Aleš the heartbreaking story about her husband’s betrayal. He listens to her story and warnings about love, but tells Zsofia that Enola inspires him not to be afraid of the world and that when you invest your heart and soul into someone it changes you. However, I did have a minor issue with parts of the story. Hofstatter never mentions why the family has decided to flee their home country and while it doesn’t significantly detract from the story, it feels like the story could have been enhanced if we had a little information on the Aleš’ family. It’s a short piece so I understand not wanting to bog it down with too much back story, but just a paragraph or two at most could have added another layer to this piece. Were they simply just seeking a better financial future? Were they involved in some kind of legal trouble? There is a small mention of their troubles in an exchange between Aleš and his mother where he asks if they will be safe and if “they” will be able to find them, and his mother reassures him by saying everything will be fine. That helps to a degree, but it still feels like something is missing. Despite my wish for a little more development of the family dynamic, I loved the vibe of The Crabian Heart. It’s a coming-of-age tale mashed-up with some of the best parts of weird fiction. This story isn’t overly scary, in fact it’s more rooted in those feelings of love and the risks that come with it. But while The Crabian Heart may not have a heavy focus on outright scares, there are some pretty vivid and creepy scenes of body horror in the later half of the novella that are extremely well done. While I thoroughly enjoyed The Crabian Heart, I think I felt more of a connection to the second story contained within called Fountain of Drowned Memories. This story opens with a man named Lorcan studying these amorphous stains that are on the ceiling in a room that he has been trapped in for some time. His thoughts are slowly eroding from his memory as he can’t remember when he first arrived in the room or the changes that happened to his body. The one thing that brings him any sort of relief from his waking nightmare is the fountain in his room. He submerges his head in the waters and it removes all negative thoughts from his mind. He feels he is being tortured in this place, but he doesn’t understand why he has been brought to this place. While the fountain brings him his only sense of relief in this hellish prison, he gets the sense that the fountain is stealing his memories. To make matters worse, he begins having frightening visions that seem to get worse with every passing day. I don’t want to talk about too much of the plot of this story because it might spoil it for new readers, but I love the way Hofstatter manipulates reality in this story. He is able to keep the reader off-balance by forcing them to decide what is real. This is a heartbreaking story and a perfect complement to The Crabian Heart, creating a one-two punch of what I feel are Hofstatter’s strongest stories to date. This was an engaging collection that whips by at a frantic pace and is easily read in one sitting. Hofstatter has a new book coming out this year from Sinister Grin Press called TOROA and I’m looking forward to reading it and seeing what kind of dark visions he has cooked up. Purchase The Crabian Heart: Amazon, Barnes & Noble, Parallel Universe Publications, or grab a copy from your favorite bookstore! 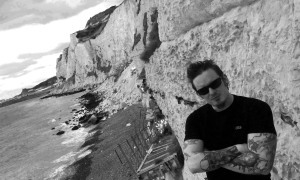 Erik Hofstatter is a dark fiction writer and a member of the Horror Writers Association. Born in the wild lands of the Czech Republic, he roamed Europe before subsequently settling on English shores, studying creative writing at the London School of Journalism. He now dwells in Kent, where he can be encountered consuming copious amounts of mead and tyrannizing local peasantry. His work appeared in various magazines and podcasts around the world such as Morpheus Tales, Crystal Lake Publishing, The Literary Hatchet, Sanitarium Magazine, Wicked Library, Tales to Terrify and Manor House Show. Other works include The Pariahs, Amaranthine and Other Stories, Katerina, Moribund Tales and Rare Breeds. This summer I was lucky enough to receive a review copy of Erik Hofstatter’s debut short story collection, Moribund Tales. Hofstatter’s old-school writing style was a blast of fresh air and while some of the stories lacked the same emotional punch as others in the collection, it was clear that he was a talented author that had some interesting story ideas floating around in his imagination. 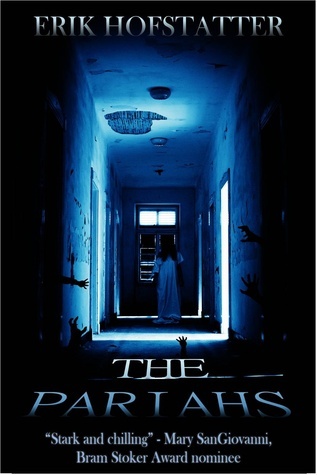 The Pariahs tells the story of two disfigured siblings who were torn from their homes in the middle of the night and transported to a stronghold deep in the hostile environment of Siberia. Part 1 starts off with Demyan, the older brother who plays his role well while trying to keep his sister Akilina safe in their dire predicament. He remembers being ripped from his home by two men dressed in radiation suits and armed with rifles before being knocked unconscious and awakening in a bleak concrete cell. The cell is devoid of any comforts; cracked walls surround him and the only source of light is a barred window that is well out of his reach. His only sense of hope is the fact that he shares the cell with his sister and they were not separated after their abduction. Akilina is in rough shape however, suffering from an extreme fever and being unable to move due to sheer exhaustion. While Demyan paces his cell thinking of an escape plan, he ruminates on the events that landed him and Akilina in this hellish prison. They were both born with deformities after a nuclear disaster that happened over 17 years ago. Demyan suffers from a hip injury while Akilina has facial deformities. Their father seemingly died while they were younger, leaving them to be raised by a mother who hated them and frequently mentioned how she wished they were both never born and tormented them with tales of an asylum where the government would store naughty children. It seems that place truly does exist. His reflection is shattered when the guards come in and take his sister despite his attempts to stop them. The loss of his sister strips away what little hope Demyan has left and he simply bides his time until the men come for him as well. All of that changes however, when he hears a faint whisper coming from the drain telling him that his sister is still alive. Demyan begins to converse with the mysterious voice and discovers her name is Taisiya, a girl who claims to have been born at the facility. Demyan derives hopes from his conversations with Taisiya, who seems to have a vast knowledge about the workings of the facility and his only source of information on what is happening to his sister. He develops an intimate connection with her and begins to view her as his only hope for escape. Despite Taisiya’s willingness to help Demyan, it seems that she is hiding something and Demyan takes a huge risk in trusting her. Can Taisiya be trusted? What exactly is her history with the mysterious facility? These are all important questions that linger throughout the story as Demyan sets out to save both himself and his sister from the sinister experiments taking place in the facility. Hofstatter takes a bit of a different approach structurally in his new novella. He abandons the straightforward approach his stories followed in Moribund Tales in favor of a narrative built from the viewpoints of the three main characters. We follow each character through the evolution of their storyline before switching to the narratives of the other characters, but Hofstatter manages to weave these narratives together flawlessly. It would have been easy to lose focus throughout the novella, but Hofstatter never drops a plot thread and manages to connect the different viewpoints together to form an engaging story. What I loved most about The Pariahs were the plot twists that Hofstatter sprinkles throughout the novella. When I first began reading, I thought I had a pretty good idea of where the story was going and this is one time where I was happy to be proven wrong. Hofstatter does a great job at creating characters that the reader can’t help but root for in their quest to escape the hellish confines of the facility. Despite being facing numerous hardships throughout their lives, Demyan and Akilina both display a remarkable resiliency and determination. Hofstatter’s characterization shines brightest in the section dedicated to telling Taisiya’s story. I don’t want to divulge too many details for those who have yet to read The Pariahs, but Taisiya is a very intriguing and complex character. The only issue I had with The Pariahs is a relatively minor one. Despite an interesting premise and effective plot twists, the novella’s conclusion is pretty abrupt and leaves a lot of unanswered questions. I really hope that Hofstatter has plans to continue the story established in The Pariahs, because there are definitely interesting paths the story could take. I highly recommend picking up a copy of The Pariahs, a well-written and heartbreaking horror tale from one of my favorite up and coming writers who continues to grow with every new story. 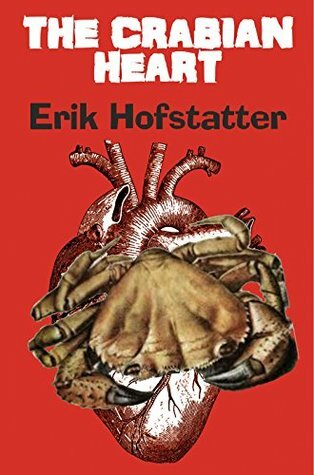 Lately I have really been getting back into reading short stories, so I was pretty excited to check out Erik Hofstatter’s debut short story collection. 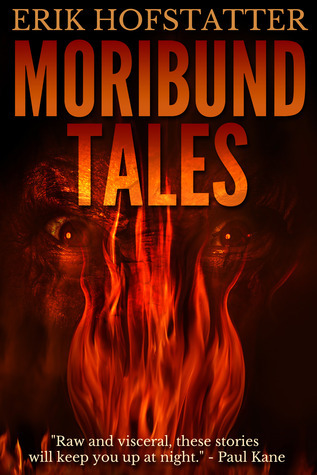 Moribund Tales features nine short stories that have a Gothic Horror feel to them and explores urban legends, hauntings and other paranormal phenomena. I enjoyed most of the stories, but there were two that were my clear-cut favorites of the collection. “Tears of Repentance” – This story is the tale of one man’s revenge after his lover leaves him for another set in a small village that was ravaged by the Black Death. I would hate to spoil what the outcome is of the character’s revenge plot, but it is a dark and tragic story that perfectly fits Hofstatter’s style and is definitely a must-read from this collection. “Last Straw of Humanity” – This story focuses on a boy whose father keeps a dark secret locked away in the basement. Every night the narrator hears wails coming from the basement and one night decides to defy his father’s threats and grant mercy to whomever is being held prisoner there. Hofstatter builds suspense throughout the story, leaving the reader guessing at the truth behind this family’s secret until the stunning conclusion. Moribund Tales is an entertaining read, but some of the stories suffer from their short length. Stories such as “Soul Reflection” and “On The Edge of The Marsh”, while interesting, ended a little too abruptly and didn’t pack the same punch as some of the other stories. I love Hofstatter’s old-school writing style and these quick blasts of horror are perfect if you are looking for a quick and eerie read. He recently finished his debut novelette The Pariahs which tells the story of two disfigured siblings who are transported to an isolated stronghold hidden deep within Siberia. I am definitely looking forward to checking this out when it is released and I am eagerly anticipating a full-length novel from Hofstatter.